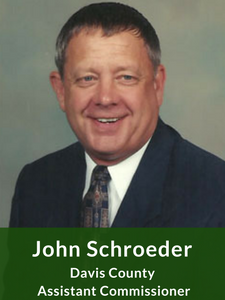 John Schroeder serves on the Board of Directors at Pathfinders RC&D and is a Davis County Soil & Water District Assistant Commissioner. He has served 10 years with us, and has been instrumental in establishing our low-interest small-business loan program, which helps entrepreneurs access capital to make their business thrive. 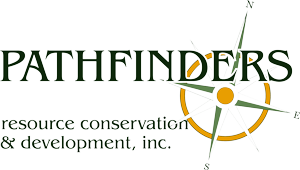 John is passionate about economic and community development. “My philosophy is that you can’t have one without the other.” At the SWCD, he enjoys approving projects and meeting the rural communities initiating them. John is also the Executive Director of the Davis County Development Corporation and a member of the Ottumwa chapter of the Small Business Administration’s Service Corps of Retired Executives. With a long history of business experience, John is well qualified for the rural economic development work that he does. John was born and raised near the small Illinois town of Ashkum. He studied business at Monmouth College before serving in the army. John started his first business, a gas station in Denver in 1971. After he’d expanded it to include a towing company, he sold everything to move his family to Bloomfield, Iowa to buy a Ford Mercury Dealership. Under John’s leadership, the dealership flourished, and he sold it in 2006.